Kingdom Hearts III, the new entry in the series currently in development for PlayStation 4 and Xbox One, has been announced quite some time ago, and there’s very little we know on the game other than the fact that it is in the works. A release date hasn’t been set, but it seems like we will learn more about the action role-playing game soon. 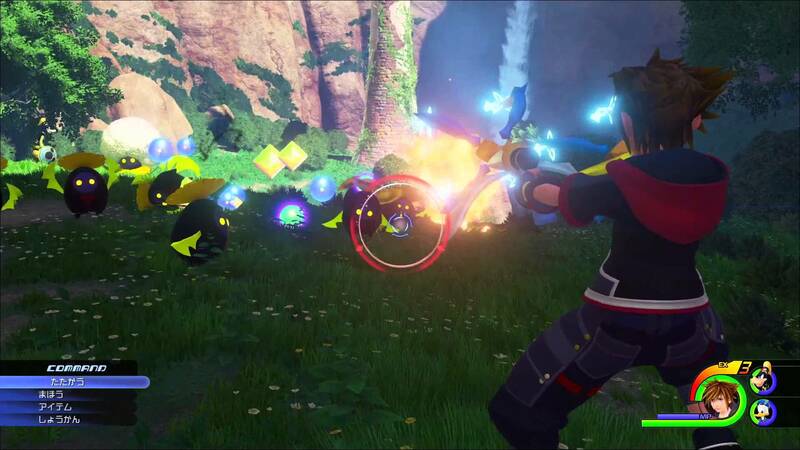 According to rumors circulating online, a new Kingdom Hearts III trailer was supposed to be released last month, but it’s been moved for the E3, where the game will be showcased. The action role-playing game by Square Enix will apparently not launch this year, but sometime in 2018, with cuts to prevent additional delays. With Disney being involved, it’s likely that Tetsuya Nomura and his team are being pressured to release the game as soon as possible. While the source is somewhat reliable, we must still take everything with a grain of salt until official announcements come in. Tetsuya Nomura himself hinted at development issues earlier this year, so it’s not unlikely that cuts have to be made to ensure a timely release. A taste of what is to come for the series recently came on PlayStation 4 with Kingdom Hearts HD 2.8 Final Chapter Prologue, which includes Kingdom Hearts 0.2 Birth By Sleep: A Fragmentary Passage, featuring Aqua as playable characters. The collection also includes Kingdom Hearts HD Dream Drop Distance, the remastered version of the game originally released on Nintendo 3DS. Kingdom Hearts HD 2.8 Final Chapter Prologue is an adequate collection of what’s left over from the series, with what also acts as an exquisite demo for the upcoming Kindom Hearts 3. This isn’t to say that hard work hasn’t gone into the remaster, but for a premium price point the game just isn’t worth what it’s asking, and the core component shows its age and origins a little more than could be hoped for. Kingdom Hearts III launches on a yet to be confirmed release date on PlayStation 4 and Xbox One.